The community of True Inspiration, now known as the Amana Colonies, selected their present location in the Iowa River Valley for several reasons. One, was the nearly 10,000 acres of forest which has not changed appreciably in size since settlement. Trees were an important source of fuel for the community kitchens and for heating-wood. Middle Amana, for example used 900 cords of wood per year to satisfy both needs. Of course, the timber was also used as construction lumber for building and furniture shops. The first sawmill in Amana was established in 1856 just north of the 4-way intersection of State Highway 151 and County Road 220 on Price Creek. This mill, located on Price Creek, was water-powered, other mills in the villages were steamed-powered using the slabs cut at the mill. Trees were an important source of fuel for the community kitchens and for heating-wood. Forest policy of “cut what you need” continued from establishment of the settlement in 1855 to the “the great change” in 1932 when the management of the business separated from the church society. At that time all, forest management became the responsibility of the farm manager. In 1942, the Amana Society Inc. contacted Iowa State University for help in the development of a timber survey and management plan. The plan was established by I.S.U., but never completed due to World War II. 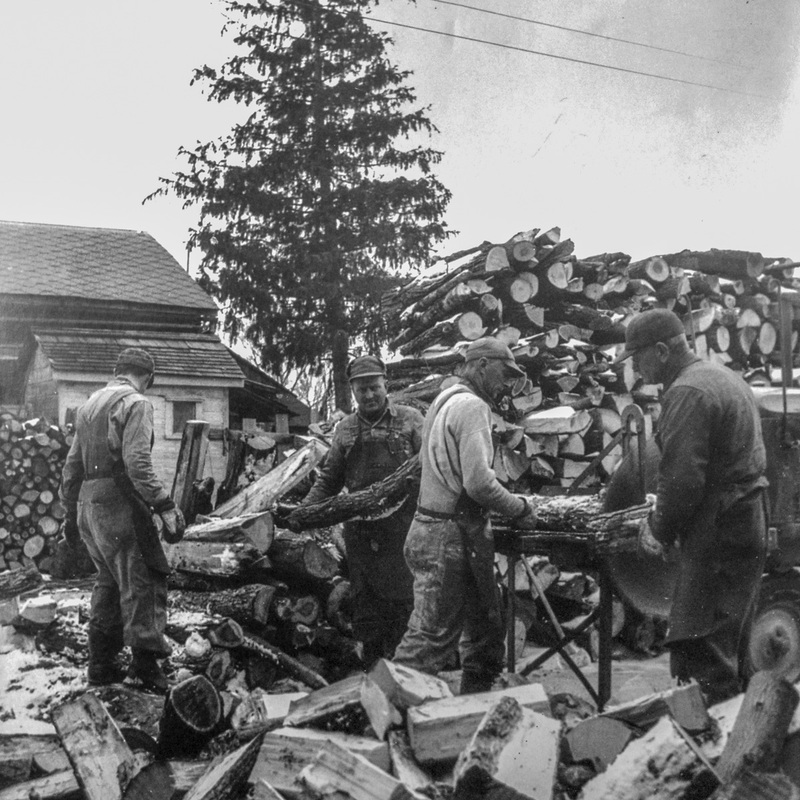 Post-war forest management began in early 1950’s with a working agreement between the U.S. Forest Service and the Amana Society. This agreement was more research-oriented than management and remained in effect until 1971. 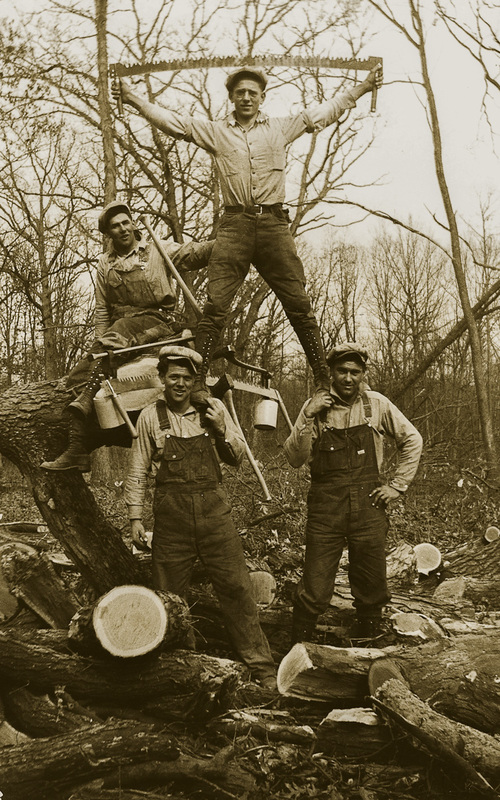 However, a professional forester was only in Amana from 1953 to 1962. 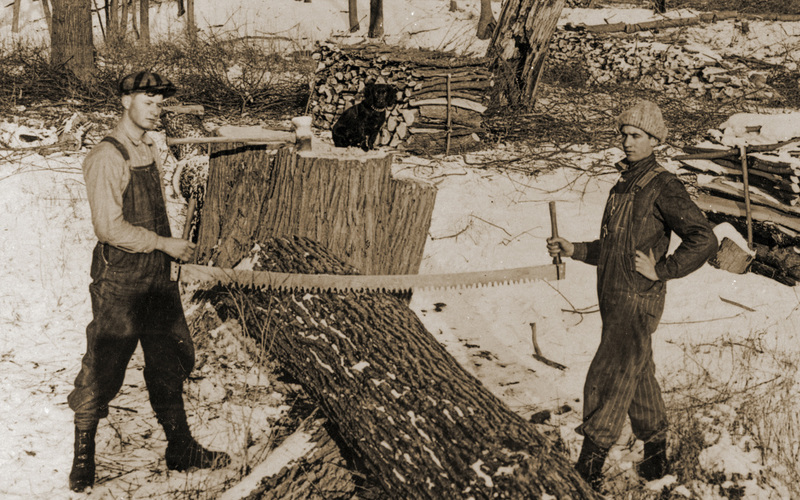 With the reversion of the forest responsibility back to the farm manager, timber harvesting was concentrated on salvage-cutting trees lost to Dutch Elm disease and cutting red oak susceptible to Oak Wilt. In 1971, the business manager of the Amana Society Inc. contacted foresters from the State Conservation Commission (now the DNR) for advice in developing a management plan for Amana Society forest lands. The Amana Society was soon able to see the benefits of professional forest management and continues to manage their lands for the benefit of the company and the environment.